Remember when the PAC-MAN machine first showed up in place of a pinball machine at the arcade? How about coming home to your ATARI to play PITFALL or your ODYSSEY 2 to play PICK AXE PETE? Then came the NINTENDO ENTERTAINMENT SYSTEM, SNES, SEGA GENESIS,, etc. The list of home game cosoles goes on and on. 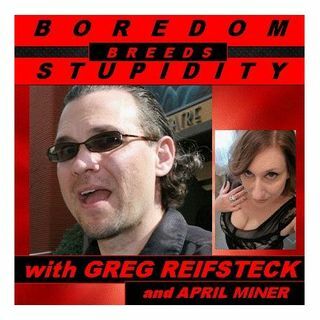 COMEDIAN GREG REIFSTECK talks with this lovely Co-Host APRIL MINER about growing up in Albany Park, and the video games they played growing up in the neighborhood.. All of the arcades of the ... See More past and how they compare to the Playstation 3 and 4, Xboxs and games of the present like Candy Crush that you get addicted to on your iPad or phone. Call in and tell us your video game memories or present addictions as 646-716-7132.